Patrick Reagh caught the printing bug in 1959 at age eleven, when his parents purchased a small, used 3x5 Kelsey press for him as a Christmas gift. His father and he established the Mustard Seed Press. 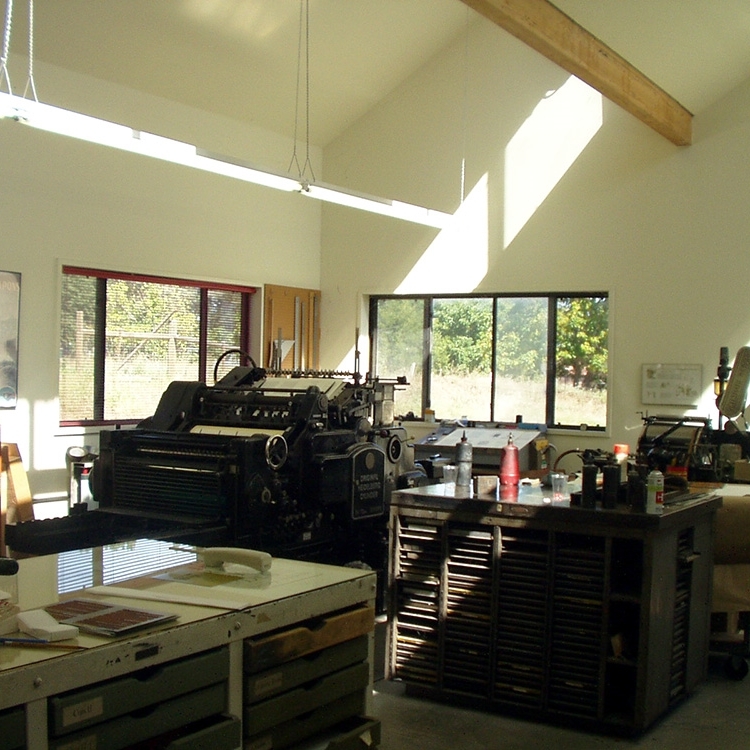 A large bedroom in their old craftsman-style house would accommodate a growing collection of type and printing equipment. He became acquainted with and influenced by the work of Saul and Lillian Marks of The Plantin Press, Los Angeles, through his father’s friendship and association with them. 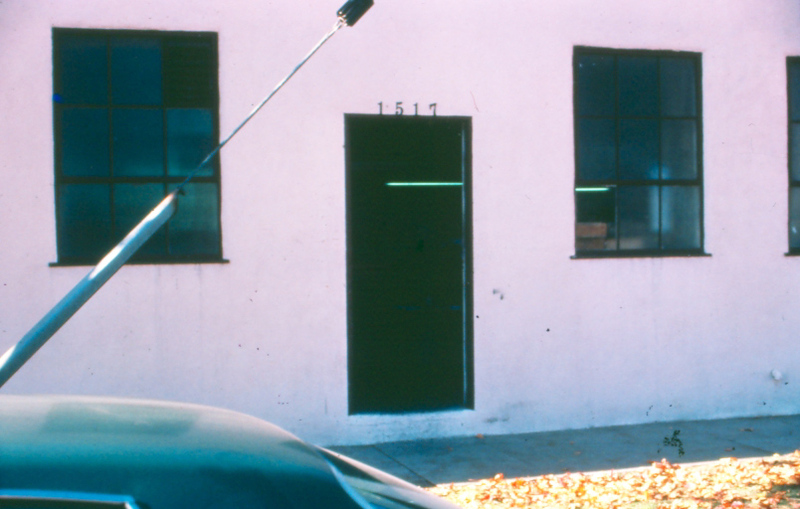 At eighteen, as the shop outgrew his bedroom and he wore out his welcome, Pat moved out and the Mustard Seed Press moved around to several locations until landing at 1038 Temple Street on the outskirts of downtown Los Angeles. Beginning in 1968 he apprenticed as a union type compositor at Andresen Typographics for 5 years, where his training encompassed the transition from hot metal to the new “cold type” (phototypesetting) technology. His time at Andresen is fondly remembered and the main thing he learned there was how to make a deadline. His shift was over at 11 p.m., but nobody went home until all the jobs marked 9 a.m. we're finished. A lot of overtime was accrued. Once he attained journeyman status, Reagh’s desire to be a musician took precedence over his interest in printing, and he took a break from the trade to work as a pianist and worked with various Latin jazz bands around Los Angeles. 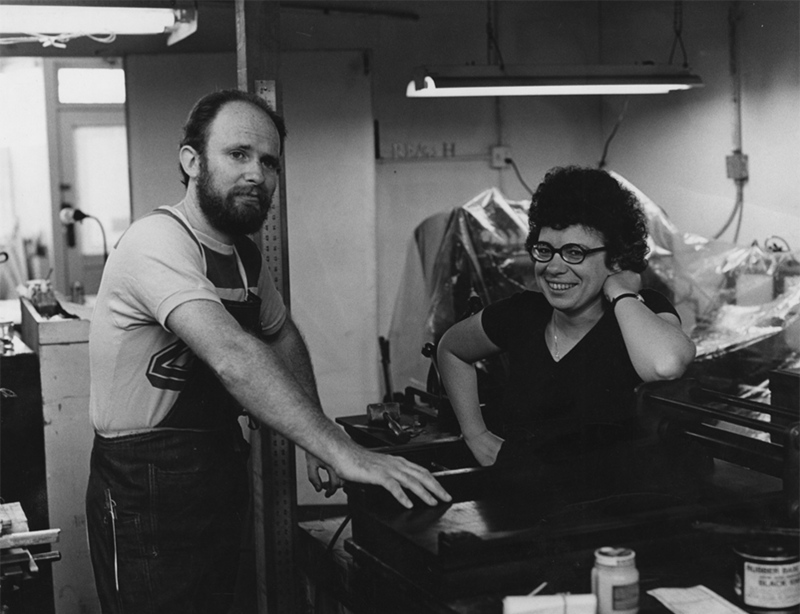 Following the death of Saul Marks in 1974, Lillian Marks hired Pat to work at the Plantin Press, where he learned the basics of classical typography and presswork. 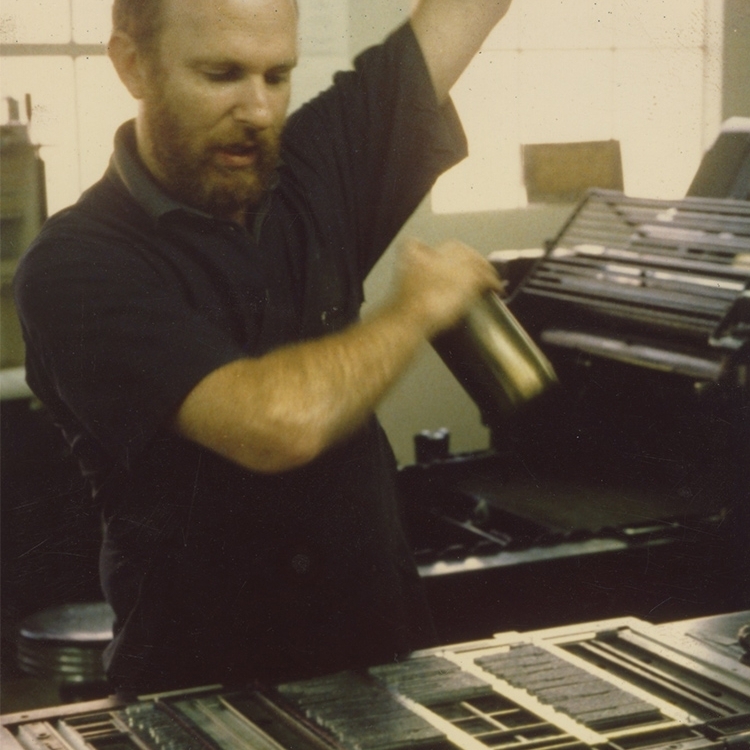 “It was there that I learned how finely printed books were designed and printed.” When the Plantin Press ceased its commercial operation in 1981, Patrick was able to purchase the press’s equipment and go out on his own. 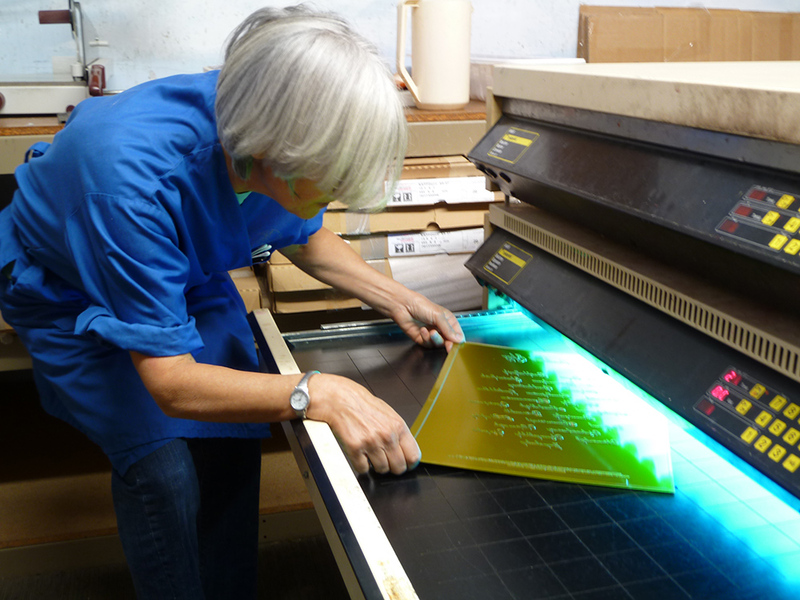 After a one-year partnership with Vance Gerry, he established his own imprint, Patrick Reagh, Printers. 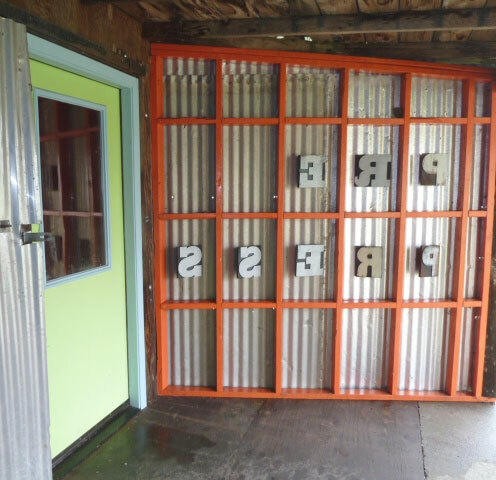 Reagh moved his press from the Los Angeles area to Sebastopol in 1995. Nestled amongst tall redwoods, surrounded by a few intrepid cannabis cultivators, Patrick’s print barn is a combined type foundry and printing atelier. There are 4 Monotype casters: 1 Supercaster, and 3 composition casters. There is also an Elrod machine that casts leads and slugs, or “clumps” as the British call them. He has a complete run of many typefaces for casting including: Bembo, Ehrhardt, Fournier, Bulmer, Baskerville, Janson, Gills Sans, Univers, and many more. 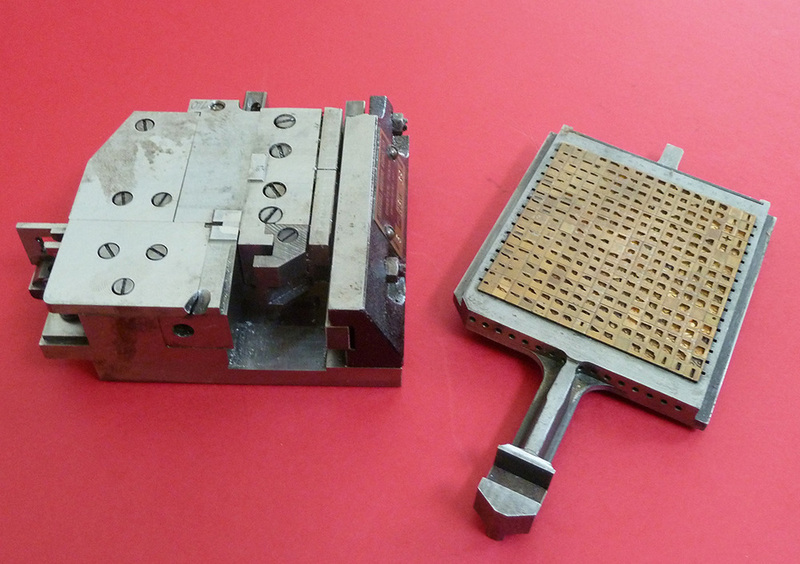 Although the hot type composition equipment is alive and well, it is used also in conjunction with polymer plates which Patrick makes himself. 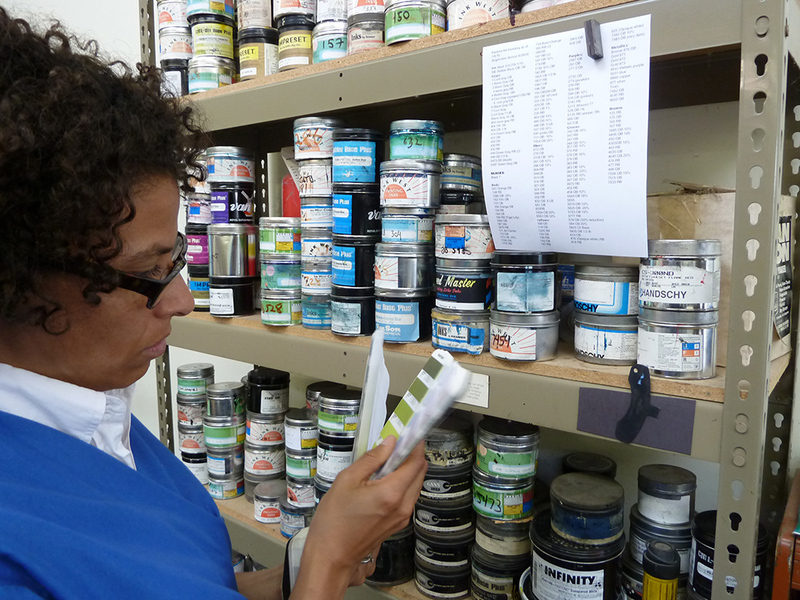 For those who like to debate the quality and purity of hot metal versus photo polymer, he will gladly offer some printed samples and challenge them to tell which method was used. 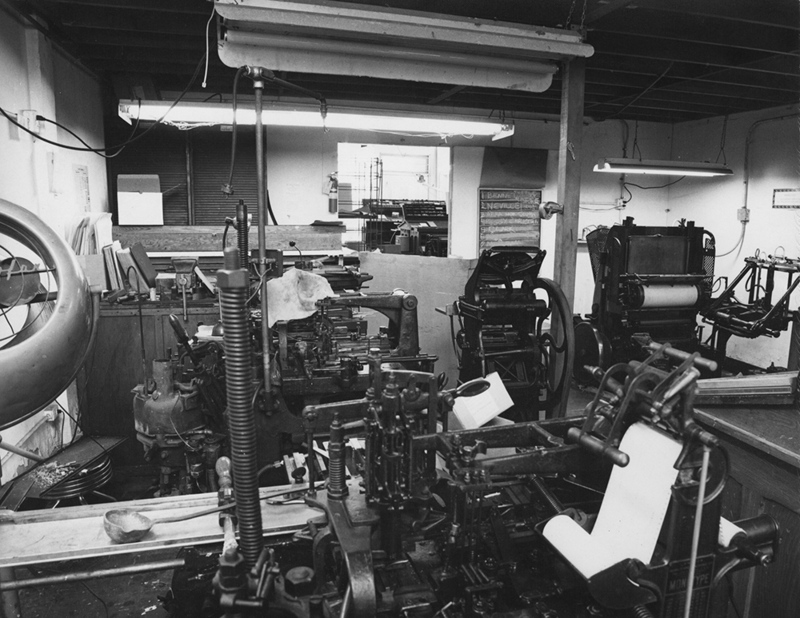 The pressroom consists of a Vandercook SP-15 proof press, Colts Armory 10x15 handfed platen, Heidelberg 10x15 Windmill, and a 28 inch Heidelberg Cylinder. The original 3x5 Kelsey tabletop press rests atop a type galley stand in the foundry. 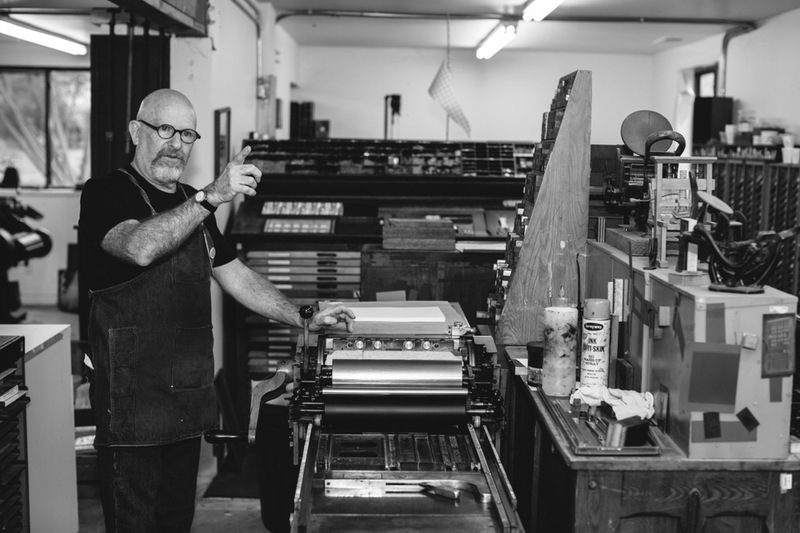 Patrick has designed and printed numerous books, broadsides, ephemera, and just plain commercial letterpress work. Along the way he has received many awards, among them the Western Books Awards, The Carl Hertzog Award, and The Oscar Lewis Award from the Book Club of California. 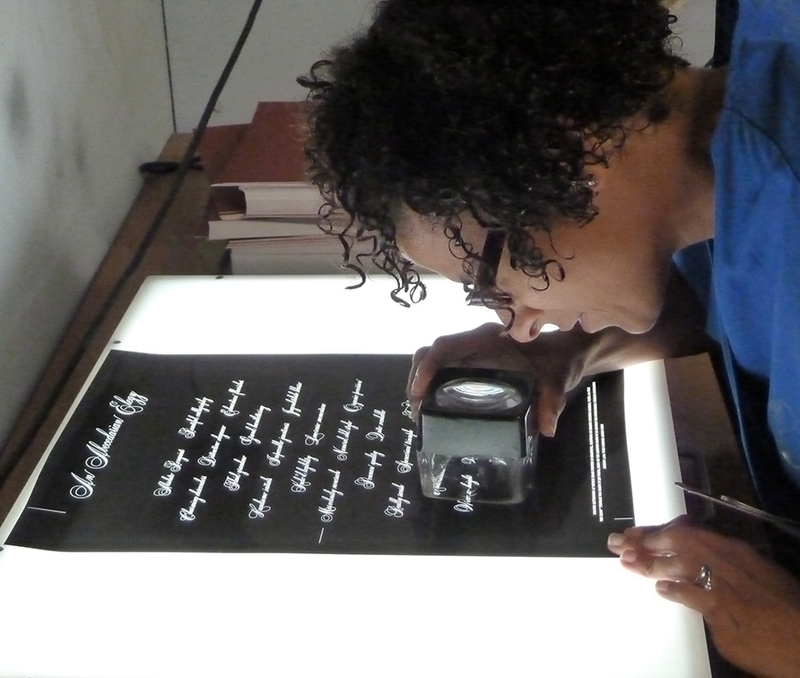 The UCLA Williams Andrews Clark Memorial Library holds his archives. The Evolution of a Print Shop: 1959–2017 . . .